"I have been getting an error message that says: 'Apple Mobile Device Service failed to start. Verify that you have sufficient privileges to start system services' when I install iTunes. Does anyone have a solution for this?" 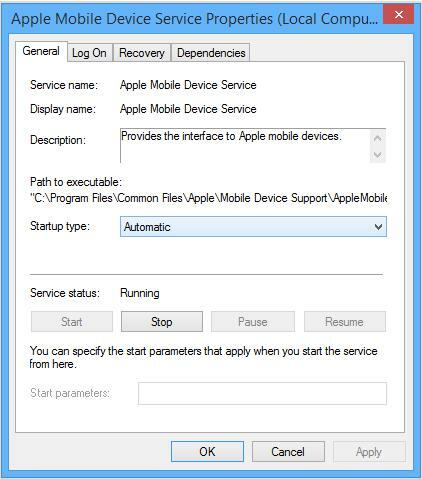 It is likely that what you are experiencing is a problem with the Apple Mobile Device Service (AMDS) especially if you are using a Windows system. The following solutions should help you get around the problem. Follow these steps to restart AMDS and see if iTunes will respond. Step 1: Close iTunes and if you had connected an iOS device, disconnect it. Step 2: Open the Run command on your Windows computer. You can do that by pressing the Windows logo Key and the R key on your keyboard. Step 3: Type in "services.msc" and then click "OK." This should open the services console. 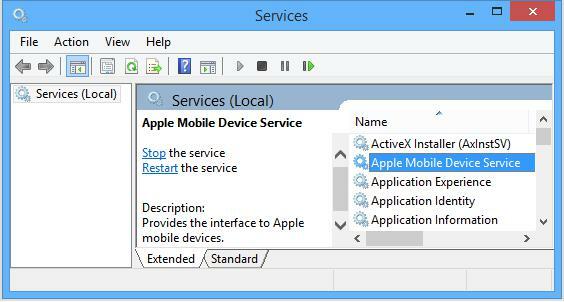 Right click on "Apple Mobile Device Service" and choose "Properties." Step 4: Set the startup type popup menu to Automatic and click "Stop." Click "Start" and then Click "OK."
Step 5: Restart the computer and try using iTunes again. If you are still having issues with iTunes on Windows, here's another solution that many have found very helpful. Step 1: Open the folder C:\Program Files\iTunes (for 32-bit systems) or C:\Program Files (x86)\iTunes (64-bit systems). Step 2: look for the file with the name QTMovieWin.dll in the folders above only. If you can find it, delete it. Step 3: Now start iTunes and see if it runs normally. If you are still unable to use iTunes even after the above troubleshooting steps, you may want to remove and reinstall iTunes and other software components that may also have been affected. Follow this guide. Step 1: Remove all of the following items in the order listed. Step 2: Reboot the computer and then delete the following programs if you can find them. Keep in mind that C:\ may also be replaced with a drive letter of your system drive. Step 3: Delete any iTunes or other Apple software shortcuts that may be in your Start Menu or Desktop. Step 4: Once all of this is done, download an older version of iTunes or try the iTunes 12.1.3 for Windows (64-bit — for older video cards) set-up file as a workaround for installation or performance issues at https://support.apple.com/kb/DL1784?viewlocale=en_US and run it to install. Make sure that you use an account with administrative rights. You can do this by right clicking on the downloaded file and choosing "Run as Administrator." Once it is installed, it should work just fine. You may however have to re-install other programs like the iCloud Control Panel if you had deleted it.